It is widely accepted that exposure to air, humidity, temperature and light can negatively impact foods. The stainless steel canister set by Matbah is both air and water tight. In addition, the canisters’ solid construction and materials help to keep foods cool and shielded from light too. Thus, using them can help preserve food quality for the long haul. In addition, Matbah’s stainless steel canisters do not expose foods to contact with BPA. And given that the controversial chemical has been recently linked to prostate cancer, avoiding plastic storage containers would be a wise choice for individuals and families to make. It should also be noted that stainless steel is known to be corrosion resistant, heat resistant and easy to clean. So people that use Matbah’s stainless steel canisters can feel confident that the product will look good and remain an important part of their kitchen storage areas for a long time to come. The other great thing about the stainless steel canister set is that it includes large, see-thru lids. The lids fit tightly onto the canisters, which allow users to see the containers’ contents without exposing them to air and relative humidity. And as we’ve mentioned previously, minimizing exposure to those two things is vitally important to food quality and shelf life. 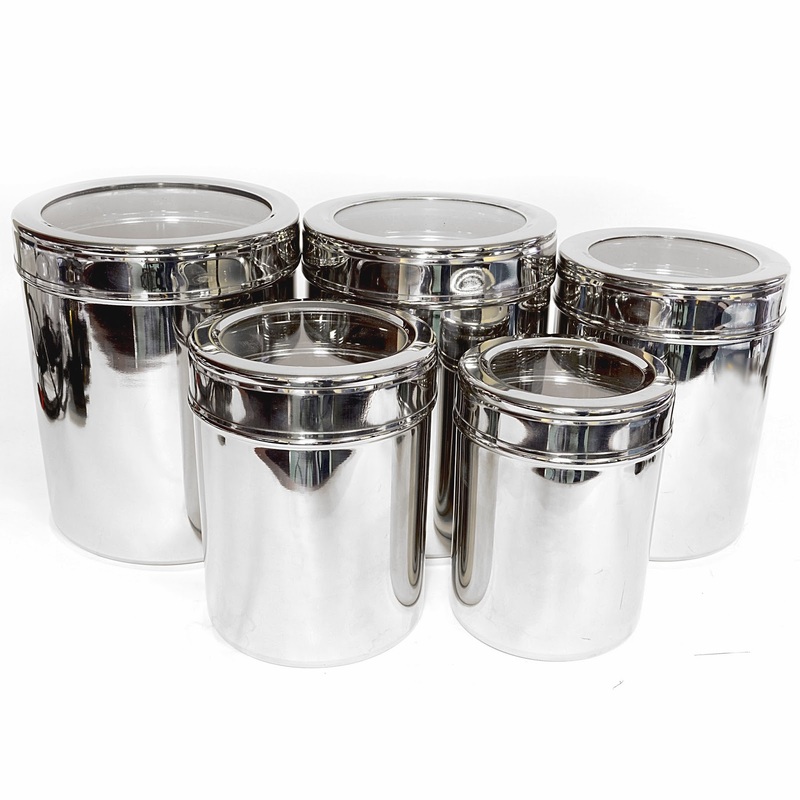 Lastly, purchasing Matbah’s stainless canister set from Bombay Electronics is a safe and pleasant experience. We offer a low price guarantee, outstanding customer service, a secure shopping environment and fast shipping. In addition, we only charge sales tax to shipments made within the State of Illinois. To learn more about our business practices and our impressive array of products, please contact us at (877) 736-6349. Tools for blank floors - many owners have each carpet and hardwood or tile floors. The capability to maneuver from one component to future with identical vacuum is nice and is often on the highest of the list within the hearts of customers these days, for more information visit here http://canisterfilterexpert.com.